Our family ended up at the Broadway Grand Prix park (formerly known as the Nascar Speedpark) in Myrtle Beach entirely by accident. We originally intended to visit the Wonderworks museum at Broadway at the beach, but the line to buy tickets was over an hour long. Once we were informed a school group of over 400 children had yet to arrive, we hastily departed the ticket line. We had experienced a rather terrible visit to the overcrowded Ripley's Aquarium the day before, and had no desire to repeat that experience. As we drove down the highway, we noticed racetracks and go-carts at an amusement park along the road. 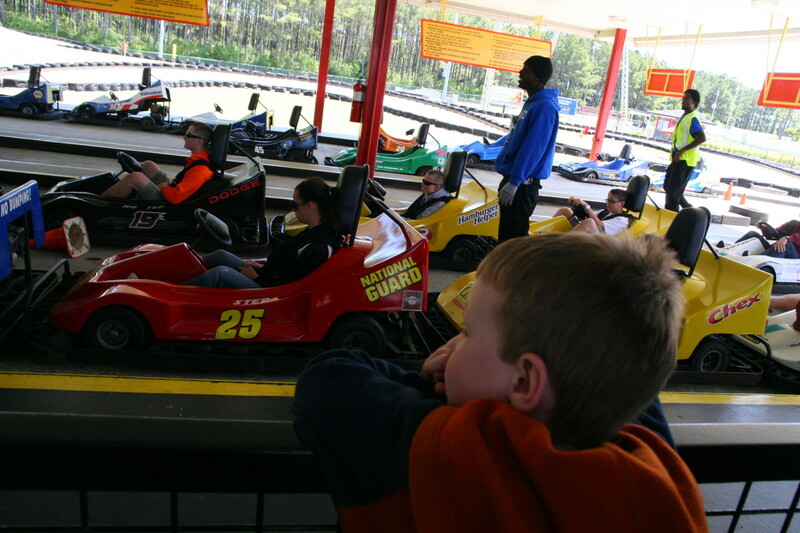 With two boys, ages four and six, we thought the go-carts would be a good diversion. We thought we would only spend an hour or two at this attraction, but ended up spending the bulk of the day at the race park. We parked and walked into the entrance building. 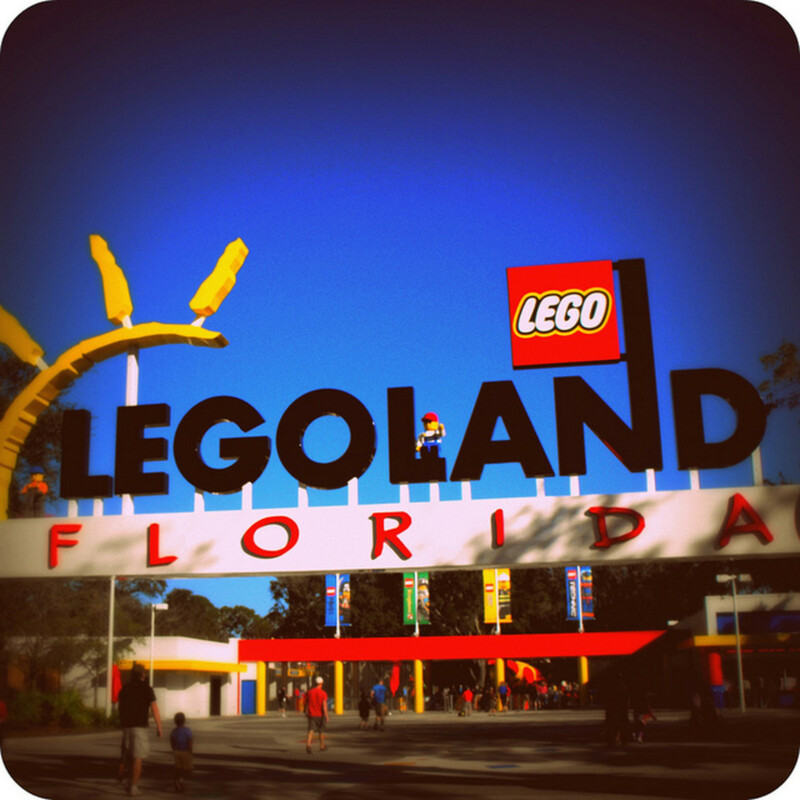 To our relief, this amusement park was nearly empty and there was no line to purchase tickets or wristbands. 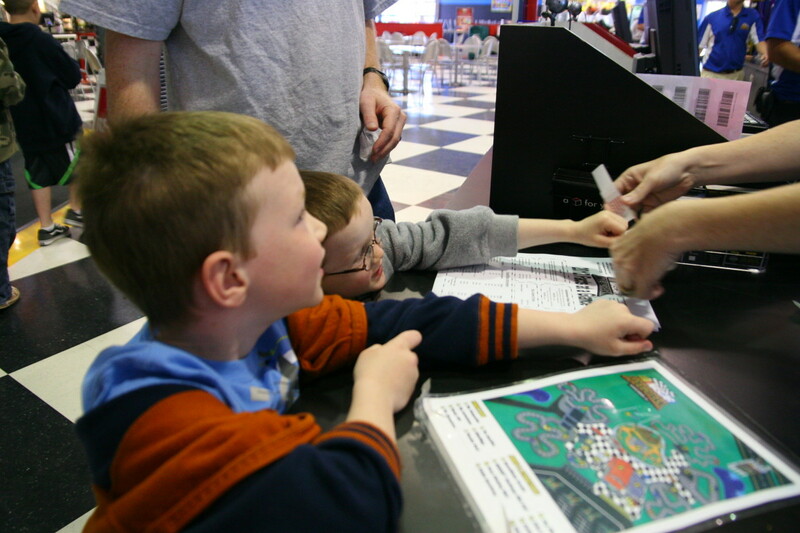 The Grand Prix park offers many ticket options: you can buy an all-day wristband, or individual tickets for the go-carts, miniature golf course, and more. We decided to purchase the all-day wristbands for our entire family. 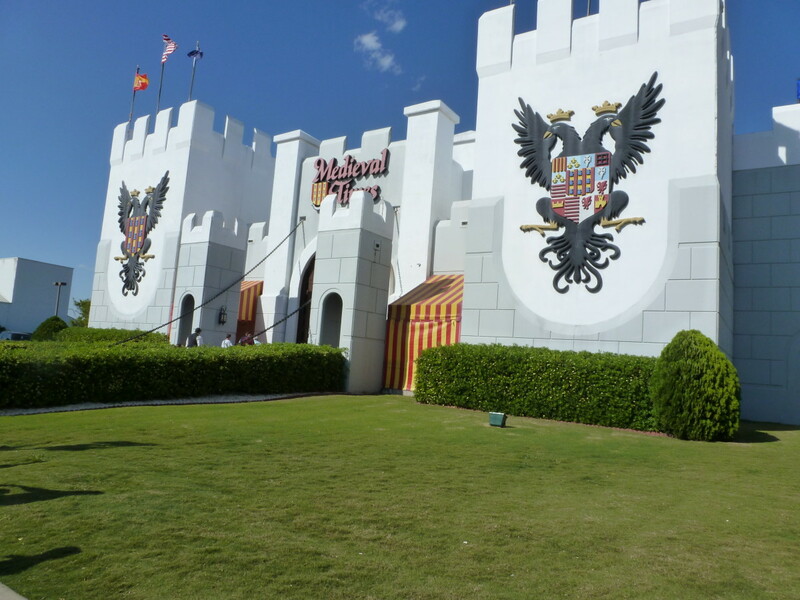 In retrospect, it would have been cheaper to purchase the wristbands for the children and to buy single-rider tickets for the adults, since my husband and I only rode on one go-cart track and played one round of miniature golf. Check online for discounts, and check the local visitor's guides for coupons. 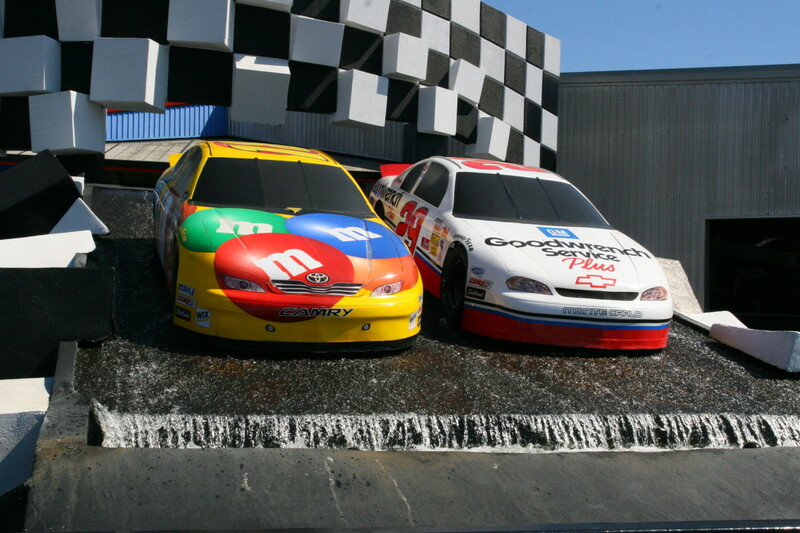 Two Nascar themed miniature golf courses. 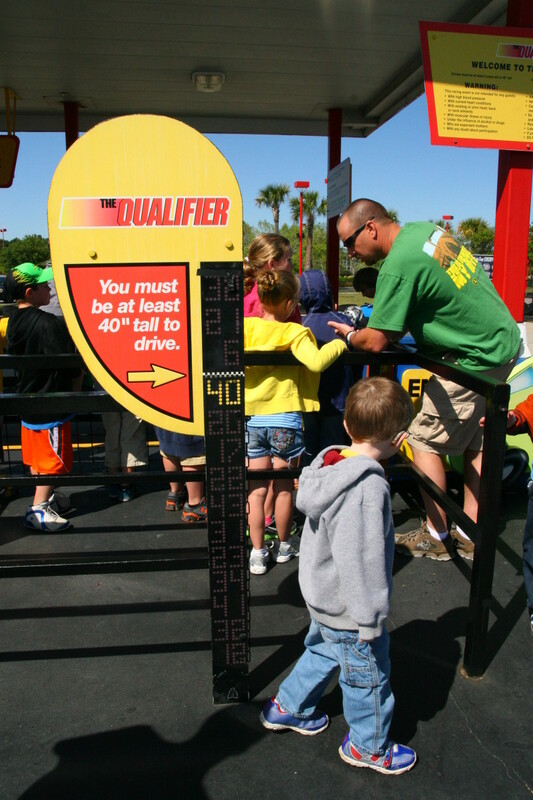 Two family-friendly go-cart courses which allow children 40" and taller to ride as passengers (The Competitor and the Family 500). The Intimidator, a side-by-side racing ride targeted toward teenagers and adults (minimum height 54"). The Champions, a racetrack for elementary schoolers-adults. The minimum height for this ride is 48" tall. Slidewayz, a slippery track with a polished floor, allowing drivers to skid around corners. The minimum height for Slidewayz is 54" tall. Thunder Road, a half mile long Indy style track. This track is not included in the standard all-day wrist band, and riders must purchase the more expensive "deluxe" wristband option for this ride. The minimum height to ride is 58" tall. The Sky Coaster, also not included in the standard all-day wrist band. This attraction lifts people 109 feet in the air before releasing them into a free-fall. Despite the high-thrill, this ride only requires a minimum height of 42". A rock-climbing wall. Children must weigh at least 40 pounds to scale the wall, and adults cannot weigh more than 250 pounds. Batting cages: children and adults must be at least 52" tall to participate. 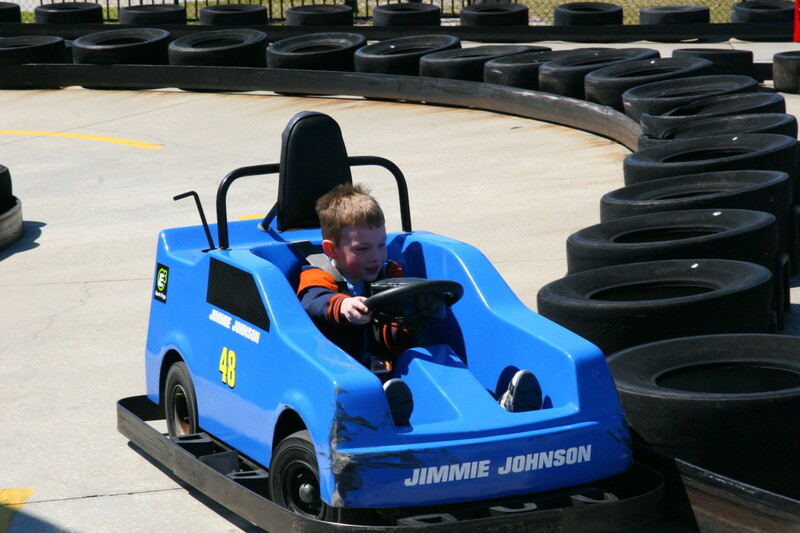 Kiddieland: the Kiddie Land area of the Nascar Speedpark includes several rides and a small go-cart track for the youngest riders. Since both of our boys were too small to enjoy any of the "bigger" race tracks, we spent the majority of the day in Kiddie Land. My older son was just below the cut-off of 48" to enjoy the Champions track, which caused a small amount of disappointment. 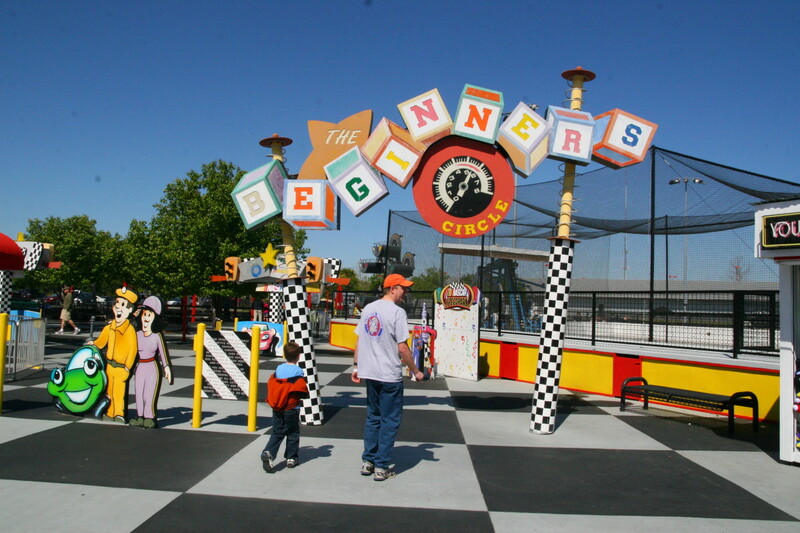 Fortunately, there is a go-cart track (named The Qualifier) within the "Beginner's Circle" area of the park with a 40" minimum height requirement. My six year old son is 47" tall and had no difficulty with these small cars. 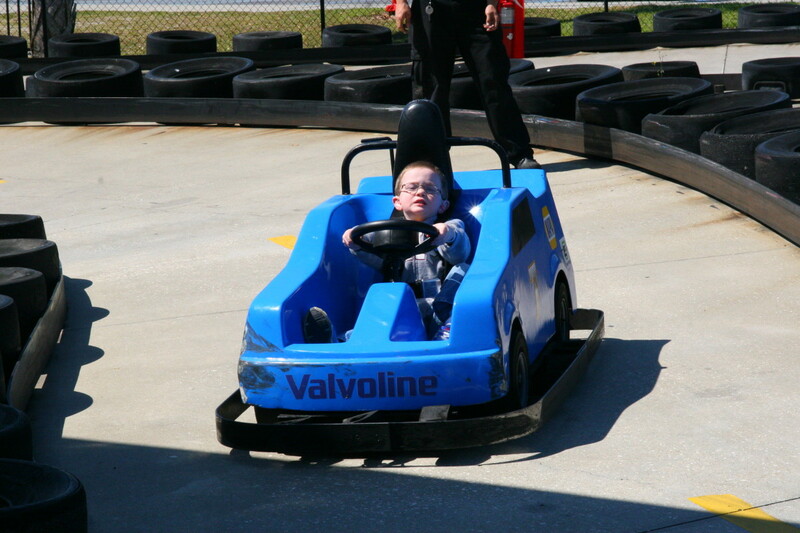 He spent the majority of the day driving these cars around the track: he really loved the freedom of driving his own car! My younger son (nearly five years old) barely made the minimum height requirement for the children's track. He is 41" tall with shoes on, and had difficulty reaching the gas pedal in the cars with his toes. Children who barely meet the height requirement for this track may not be able to reach the pedals to drive the cars: a better height limit would be 42" tall. 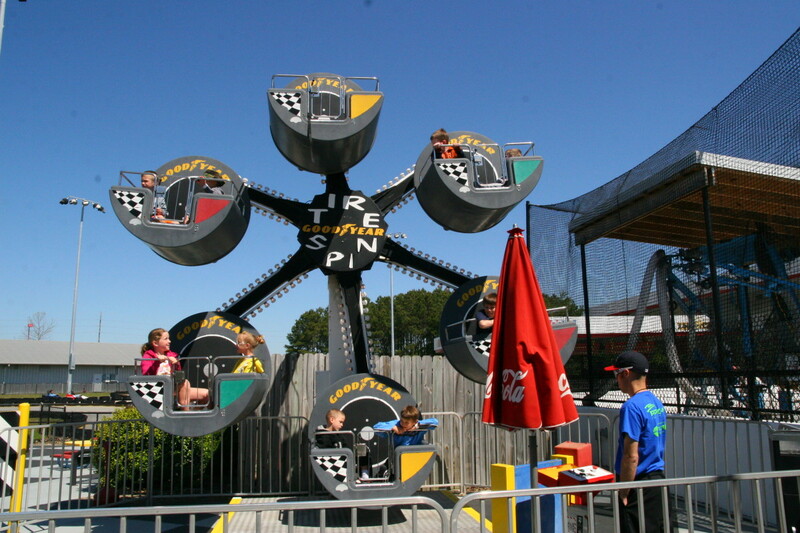 Fortunately, there are a few other rides in the area - a small ferris wheel, a tea-cup style ride, and a "crack-the-whip" style car ride are available for children who are at least 36" tall. My boys had a blast riding all of these rides, and the unlimited ride wrist band let them enjoy their favorite rides to their hearts' content. 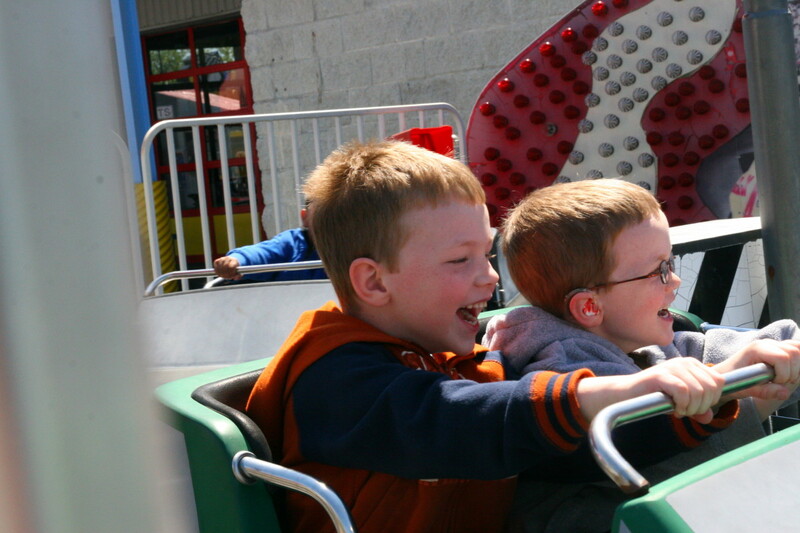 Do not bother with the go kart park if your children are under 40" tall, as they will not be able to ride any of the go-cart style rides and will be limited to 3 small kiddie rides. This park is best for families with children between the ages of 5-18. Teenagers would have a wonderful time at this park, as they would be able to ride the single-rider go-carts and would enjoy the Sky Coaster. 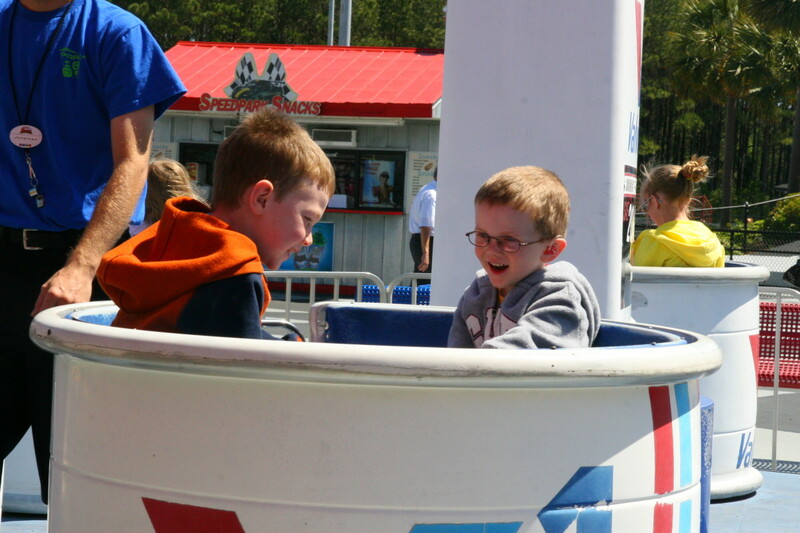 The unlimited ride wrist bands are worth the money if your children are over 40" tall and will be riding more than 5 rides in the park or want to play miniature golf. Avoid this park if it is crowded, as the lines could become unbearable. According to a staff member at the park, Sunday afternoons are the least crowded day of the week. Check visitor guides and the Broadway Grand Prix website online to find discounts. 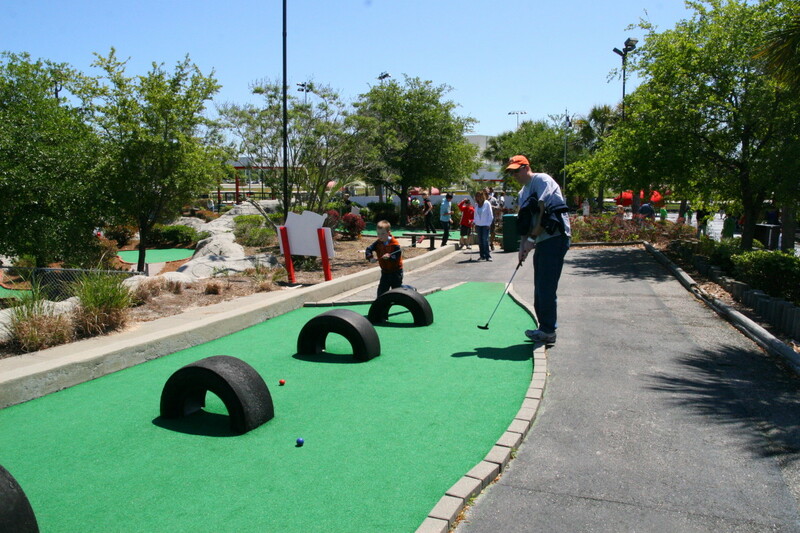 The Nascar Speedpark in Myrtle Beach is located along Highway 17, near Broadway at the Beach and the Coastal Grand Mall. Funny Observations of Tourists on the Sands of Myrtle Beach. Sure, Steve - it isn't a problem! We had a great time in Myrtle Beach last year. It is always nice to go down to warmer weather (and beach vacations are my favorite). My children REALLY loved the Nascar speed park - it was kid heaven! Hello leahlefler I put a backlink to your hub from mine. If you prefer I didn't let me know and I will remove it. Great review of Nascar Speedpark. Voted up, useful, and interesting. Read ya' later. 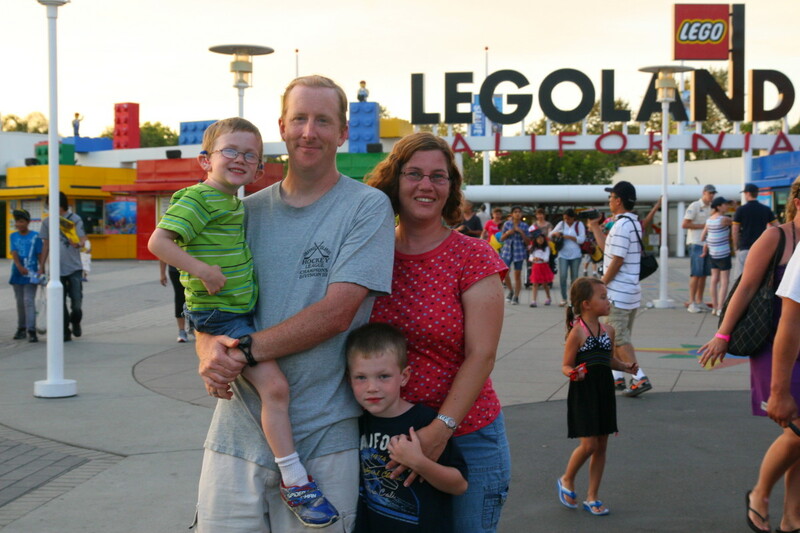 It was a pleasant surprise for our family - it wasn't very crowded and the boys had a blast driving the cars. My husband and I didn't ride very much, but we loved watching their faces as they raced around the track! Never heard of this little gem before. As you stated, it would be a great visit for families with older children. Thanks for the advice on when to visit. Voted up!